Greg Stanton, Mayor of Phoenix AZ said that Sonora may have security issues, the same as what they have in the US, but he knows that Sonora is probably the safest state in Mexico. He said that he has no problem recommending Americans to visit Rocky Point. David Rush of the Reality Travel show was here at the time when the drug related shootings took place and he confirmed that he will visit Rocky Point in October as it is perfectly safe. He did research and even made a video to inform others how safe Rocky Point is. DAVID RUSH - Is Rocky Point Safe? SAFETY IN ROCKY POINT, MEXICO has again been confirmed by the likes of Janet Brewer, Senator for the State of Arizona and Guillermo Padrés Elías, the Governor of Sonora . A new State Department travel warning for Mexico is not meant to discourage American tourists from visiting Nogales, Sonora or Puerto Peñasco, the department's top envoy to Northern Sonora said. Speaking during and after a Rio Rico Rotary Club meeting at the Esplendor Resort on Wednesday, Chad Cummins, U.S. consul in Nogales, Sonora, said that while some areas of Sonora should be avoided, the State Department is merely advising U.S. citizens to "exercise caution" while visiting the border city of Nogales and beach resort of Puerto Peñasco. Explaining the meaning of "exercise caution" to the Rotarians, Cummins said: "In diplomatic speak, that's about as light as you can get." "What the travel warning says about Nogales and Puerto Peñasco is to exercise caution - exercise caution is the same thing you do when you cross the street, or when you go out at night in the big city," Cummins told the NI after the meeting. "And we are not discouraging people from coming to Mexico, that is not the purpose of this travel alert." Instead, he said, the warning is meant to share the travel rules for consular personnel in Mexico with the general public, and offer a look at conditions on the ground as seen by State Department representatives there. The section on Sonora notes that Nogales and Puerto Peñasco are the state's major travel destinations in Sonora, and advises Americans to "exercise caution when visiting the coastal town of Puerto Peñasco." It also recommends that travelers access the beach town from the border crossing at Lukeville, Ariz. - a point reiterated by Cummins, who called the highway running west to Peñasco from Santa Ana through Caborca "a little sketchy." As for Nogales, Sonora, the new warning contains no direct recommendation on the city itself. Instead, it discourages non-essential travel between Nogales and towns to its west including Sonoyta, Caborca, Saric, Tubutama and Altar, which the State Department calls "known centers of illegal activity." The new document echoes a warning issued in April 2011, noting that Highway 15 between Nogales and Hermosillo is the exception to a rule prohibiting U.S. government employees and their families from driving between the U.S.-Mexico border and the interior of Mexico. Still, it recommends that visitors to Sonora "limit travel to main roads during daylight hours." Cummins told the Rotarians that avoiding nighttime driving is good common sense. "Not because you'll be robbed, necessarily," he said, "but there's all sorts of things in the road, cows, or whatever it is." And while Highway 15 is generally a good road, Cummins said, it has very little shoulder. "There's no room for error, so if something starts to go wrong, you're going to be out in the cactus pretty soon." The new State Department warning tells travelers that "Sonora is a key region in the international drug and human trafficking trades, and can be extremely dangerous for travelers." However, like the 2011 warning, it does not include an advisory that appeared in a 2010 version that listed Nogales as being "among the cities that have experienced public shootouts during daylight hours in shopping centers and other public venues." "The language is softer this year than it was in the last couple of years," Cummins noted. "In fact, we want to encourage people," he said. "The more people that come to Mexico and see what's going on down (there), the more it will help to dispel the myth that all of northern Mexico is a war zone. Because that's just not the case." The travel warnings become even more controversial when the media doesn't report them correctly, Cummins said. For example, an Associated Press story on the travel warning stated that, "As spring break approaches, Arizonans are urged to avoid Nogales, Mexico, and the beach areas of Puerto Peñasco, also known as Rocky Point." That was "just plain wrong," Cummins said. "That is not what the travel warning says." "This is where I sympathize with the Sonorans and those in Puerto Peñasco," he said. "The State Department issues a travel alert, and the media embellishes it and falsely reports it, and then they have a legitimate beef." SAFETY IN ROCKY POINT, MEXICO is and will always be a discussion between the media and the residents of Rocky Point. 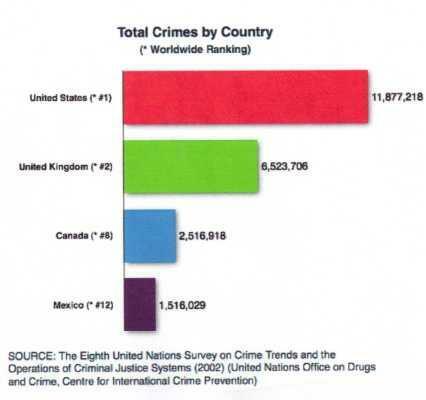 It is evident that the journalists who comment about the crime wave in Rocky Point, Mexico have never been here, nor have they spoken to any resident of Rocky Point. I have taken the liberty of finding a few facts for you and you can be the judge of the safety in Rocky Point, Mexico. The Yellow areas are low risk and indicate that there are less than 15 homocides per 100 000 people in the state. That means no more than 1.25 people killed per month in the whole of the Sonoran state. To give some perspective: The city of Phoenix, AZ had 17.18 murders per 100 000 people in the city alone. This does not include Scottsdale, Mesa, Tempe or any of the other cities that make the cosmopolitan area of Phoenix. It is safe to say that the Phoenix Area is by far more dangerous than the whole of Sonora and that makes Puerto Penasco (Rocky Point), Mexico one of the safest places to be. As President of the Convention and Visitors Bureau in Puerto Peñasco, Sonora, Mexico (aka Rocky Point) I strongly urge Rocky Point be removed from the Traveler’s Alert issued on April 22nd, 2011 by the U.S. Bureau of Consular Affairs. We believe this alert does not accurately reflect the reality of Rocky Point and does not demonstrate the economic, political, and diplomatic strategies you have espoused in the past when forming a general outlook for American foreign policy. Within the strategy of “smart power”, you emphasized use of the full range of tools at your disposal, among these economic, legal and cultural, in “picking the right tool or combination of tools for each situation” (ww.state.gov). 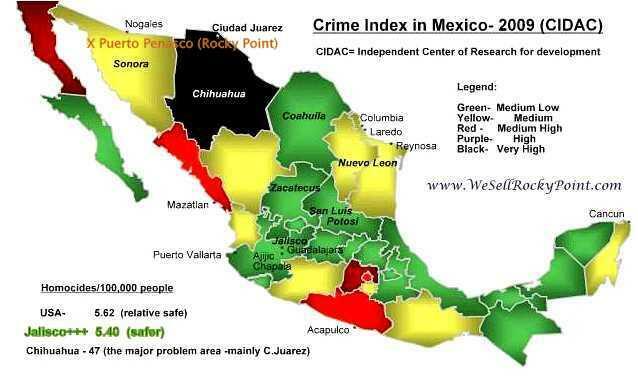 Placing Rocky Point at the same level as other cities in Mexico where violence has been more prevalent does not acknowledge the varied realities throughout the country. Puerto Peñasco has often been characterized fondly as “Arizona’s Beach.” For decades, hundreds of thousands of tourists have visited and invested in the area, choosing this destination not only due to its proximity to the US but also given the beauty of its beaches, tranquility and security. Today, more than ever, we have strived to continue providing this security with partnerships between civil society and the government. Our safety levels in Rocky Point are much higher than the national media presents, and especially when compared to major US cities such as Phoenix or Tucson in neighboring Arizona. It is unfortunate to see how government offices, such as the one you direct, do not consider costs and consequences of their actions by basing alerts such as this one on rumors and extemporaneous facts. I am available to respond to any further concerns, questions or information needed from your office; I extend an invitation for you or someone from your department to visit this fabulous paradise on the shores of the Sea of Cortez in northwestern Mexico as our guest. Héctor Vazquez del Mercado M.